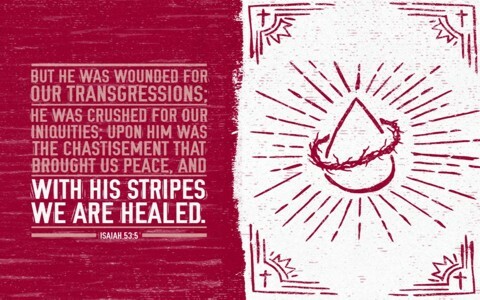 Is “By His Stripes We Are Healed” A Promise To Heal Everyone? Is Isaiah 53:5 a promise that God will heal everyone? What’s the context of this verse? Is Isaiah 53:5 a claim for healing? Can believer’s read that verse and claim it for themselves as I’ve heard many do? I have read this chapter from start to finish and have also noted that it appears Isaiah 52:13-15 is part of Isaiah 53 because the context is the suffering servant who was slain on behalf of those who trust in Him and it says, “As many were astonished at you—his appearance was so marred, beyond human semblance, and his form beyond that of the children of mankind -so shall he sprinkle[c] many nations. Kings shall shut their mouths because of him” (Isaiah 52:14-15a). This introduces us to Isaiah 53 where we read about Jesus Christ Who “was despised and rejected by men, a man of sorrows and acquainted with grief” (Isaiah 53:3a), and as “men hide their faces he was despised, and we esteemed him not” (Isaiah 53:3b), so unless we understand the context of Isaiah 53:5 that we can be healed by His stripes, we will risk taking it out of context, which has happened so very much. Context is king and no single verse should stand alone for a doctrinal belief. Text taken out of context can become a pretext…and a false one at that! In reading Isaiah 53, some of the things that we see Isaiah focusing on by God’s Spirit, is Jesus was despised, rejected, a man of sorrows (v. 3), Who came to bear our griefs, sorrows and was considered afflicted by God (v. 4), and was crushed for our iniquities, and by His chastisement, we have peace with God (v. 5c; Rom 5:1), and it was by His wounds we are healed (v. 5d), but healed from what? How about our sins which “the Lord has laid on him” (v. 6), or “made his soul an offering for guilt” (v. 10) which happens to be our guilt! So Jesus Christ, “poured out his soul to death and was numbered with the transgressors; yet he bore the sin of many, and makes intercession for the transgressors” (Isaiah 53:12). Jesus bore our sins. He made His own life a ransom for ours (Mark 10:45), and poured out His life’s blood as an ancient drink offering, but was all this excruciating suffering simply to cure our colds or take away our pain? If you look at this one verse which says “with his wounds we are healed” (Isaiah 53:5d), and 95% of the other verses, you can see that it fits perfectly within the context of our being redeemed by Christ and purchased by the precious blood of the Lamb of God (1st Pet 1:19). I doubt Isaiah would be pleased if all we use was Isaiah 53:5d and claim this as a promise that God will heal us, but then leave out the entire implications of this chapter! I think he’d be shattered, so what does God think when we seem to ignore the context of this very precious chapter about His suffering Son and use it to claim we will be healed? I think such a prayer/claim does this verse (Isaiah 53:5d) great violence. Can God heal? Of course, He is God, but does Isaiah 53:3 mean that all who state it or claim it as true will be healed? I sense that far too many have done this and become disenfranchised when they’re not healed. They feel it was either their lack of faith or that God didn’t hear or answer them and a few feel God has abandoned them, which is contrary to Scripture (Heb 13:4). Paul prayed three times for healing, but God told Him it was in order to keep him humble and dependent upon God. In his weakness, Paul could be shown God’s strength through Christ (Phil 4:13). He knew he could do nothing without Christ (John 15:5). Timothy had stomach problems and “frequent ailments” (1st Tim 5:23), so why didn’t Paul just lay hands on him and pray for him to be healed? In one case, Epaphroditus “was ill, near to death. But God had mercy on him, and not only on him but on me also, lest I should have sorrow upon sorrow” (Phil 2:27), so why didn’t Paul just claim “by His stripes, Epaphroditus, you are healed?” I think it’s because Paul knew the context of that slice of a verse, since that portion of Scripture is only 1/4th of that entire verse. Imagine taking another 1/3rd or 1/4th of a verse and claiming it as a text-proof? I believe we must take the whole Word to get the whole counsel of God, and that means the entire chapter, and sometimes, the entire book must be read to understand the context of a single verse. Bible verses or portions of verses (i.e. Isaiah 53:5d) are not meant to stand-alone. We get a lot of false teachings in the churches these days from people who find a single Scripture and turn it into a doctrinal belief, and on a verse that wasn’t intended to be a belief in itself. That’s like taking the verse “Judas went out and hanged himself” (Matt 27:5) and building a belief system with it, with a supporting random verse that reads “you go and do likewise” (Luke 10:37) and “what you are about to do, do quickly” (John 13:27). That’s how snake handlers came into existence. They read one prophetic verse from Jesus where He says, “they will pick up serpents with their hands; and if they drink any deadly poison, it will not hurt them” (Mark 16:18), and ignore the fact that Paul fulfilled that when he was bitten by a poisonous snake and shook it off into the fire (Acts 28:5). Instead, they intentionally seek out snakes and some are bitten and yes, some die. If they want to practice this verse, why not the second portion of it which read “and if they drink any deadly poison, it will not hurt them?” I believe this verse could have been referring to the Jews who may have tried several attempts to poison Paul, but we’ll never know this side of the veil. If we don’t understand Isaiah 53:5 in its proper context, we can become very disappointed and disillusioned about God. It’s sad too because Isaiah 53 is one of the most powerful chapters in the Bible. It tells of Jesus’ purpose in coming to this earth and the suffering that He endured on behalf of us who deserved it. We can be healed…but it must be the will of God. We’re told to pray for God’s will on earth as it’s done in heaven, and so we must trust God’s will, even if it means we’re not healed in this life. The most important healing is our spiritual healing where we finally have peace with God (Rom 5:1), and because of Jesus Christ, there is no more condemnation (Rom 8:1). We can be healed…but we’ll only die again, but whoever believes in Jesus Christ, even if they die, they will live again (John 11:25-26). More about healing here: Is Healing All About Faith? What are your thoughts about these verses? Hello Matt. Reading all of the context of Isaiah 53 is important and not just taking one or two verses. Jesus can heal us if it is His will, but the quote is from Isaiah and specifically about Jesus taking our sins upon Himself. Previous post: What is the Wrath of God and How Do We Avoid it? Next post: How Can Christians Be Holy As God Commands Them?